A devastated mum-of-three has urged couples to not go to bed angry after she woke up from a blazing row with her husband to find him dead on the sofa. 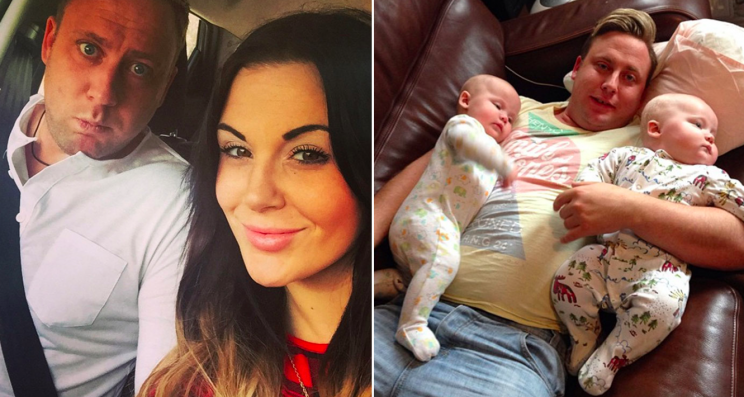 Ashley Murrell, 33, got into a heated argument with her husband Mikey, 36, after he came home late from a 16 hour shift. She had told him that she was worried he was running himself into the ground and told her husband to sleep on the sofa for the night when they failed to resolve the dispute. But when beauty therapist Mrs Murrell woke up the next morning she discovered that her husband had died overnight. Even more tragically, she later discovered that Mr Murrell was working extra shifts as a carpet cleaner so that he cold save money to take her to Prague for their anniversary on July 3. This is a true wake up call. What this wife has said is Biblical. You never know what's going on in your husband or wife's mind, take the time to LISTEN and be empathetic to one another. Be willing to keep short accounts and NEVER go to bed without saying 'I LOVE YOU' to one another! Because you never know what may happen.